Immigrants have a significant impact on US gardens. In Alexia Campbell’s The Atlantic article “Many Americans Want Work, but They Don’t Want to Mow Lawns - At least not for what landscapers want to pay,” she explains, “the landscaping industry has become the largest employer of foreign, non-agricultural guest workers.” “It's the very nature of the work. The guest workers who come over year after year are willing to put in the hours and difficult labor,” says Paul Mendelsohn, the vice president of government relations for the National Association of Landscape Professionals. Some things never change. While Campbell’s article was written last year, it could have been written one hundred years ago. Take Fujitaro Kubota for example. In 1907, Kubota emigrated to the US West coast just before then president Theodore Roosevelt signed an executive order banning Japanese from entering the mainland. With no formal training, Kubota found ways to teach himself. In a 1965 interview he explained, “I returned to Japan three times to study gardening. In Kyoto, I visited professional gardeners and asked many questions…. But they wouldn’t give me the most important part of their know-how.” Kubota’s real teacher was neighbor “Ryotaro Nishikawa … who was particularly good at cultivating pine trees and came to help me whenever he had time.” In 1923, Kubota founded the Kubota Gardening Company. “Kubota used stone and carefully selected, mature plants so that new gardens appeared finished. Kubota’s customers… appreciated his work and the business grew to seven crews,” according to Wilma. In order to accommodate the expanding business, Kubota moved the business onto a 5-acre swamp. He saw the potential of the sloping site and plentiful water. Over time, the property grew to 20 acres. “Kubota and his family cut trails and dug ponds… A horse-drawn Fresno scraper moved soil from ponds to create a hill. Stone came from farmers’ fields,” explains Wilma. 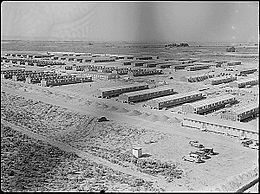 Minidoka War Relocation Center as seen in 1943. Kubota and his family were interned there in the 1940's. The site is now a National Historic Site. Being an immigrant gardener has never been easy. Discriminatory ownership laws required Kubota to purchase his original property using a friend’s name. The 1940’s brought more challenges. Except for his son, Tom, who was busy at the time serving in the US Army, Kubota and his family were forced to move to an internment camp in Minidoka, Idaho for 3 years. A hanging bell or bonsho marks the entrance to the garden. 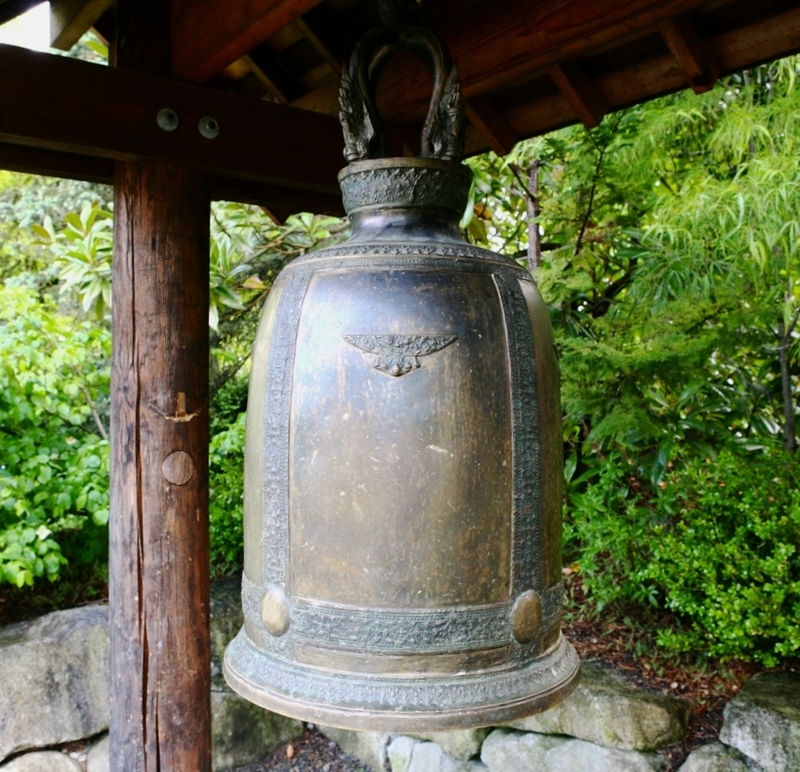 Such bells are used in Buddhist temples as a call to prayer. Thanks to his gardening skill and broad community support, the Kubota Garden story has a happy ending. In 1981, the oldest garden area – photos above - was designated a City Landmark. The remaining landscape, slated to be demolished for condominiums, was saved in 1987 as a city park. Today, the gardens continue to flourish with the help of the Kubota Garden Foundation, who see the garden as a living memorial to first-generation Japanese immigrants. 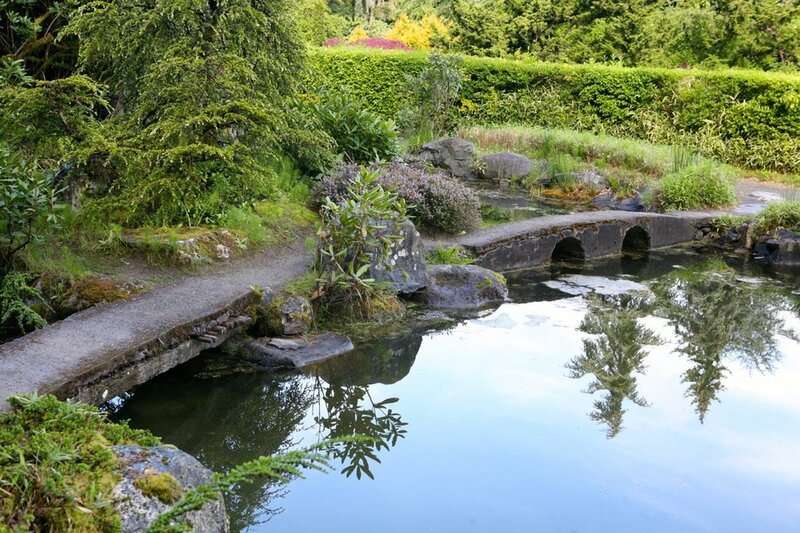 Don’t miss a visit to the Kubota Garden in Seattle, Washington. It’s more than just a great garden and a testament to the life’s work of an amazing American. It is also a reminder of the influence that immigrants have had on landscape and continue to have today. 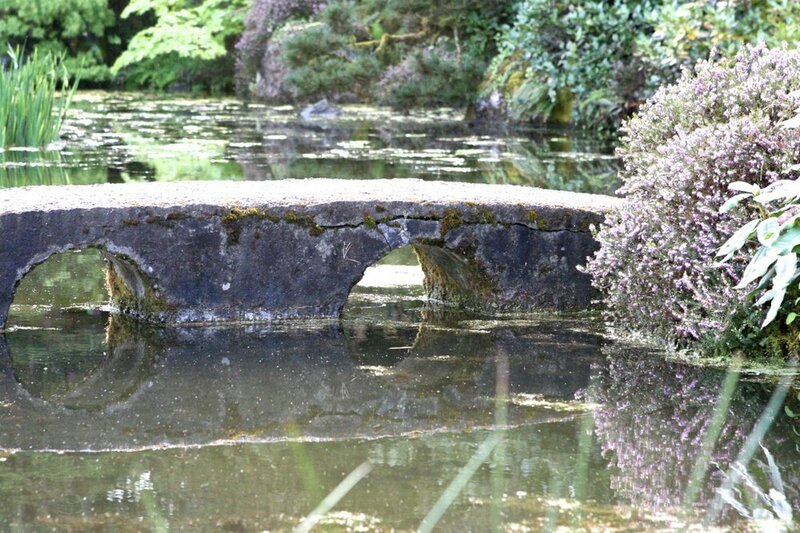 See more about Kubota Garden here. Landscaping has drawn immigrants who find high demand for their hard work. Many go on to establish successful businesses.